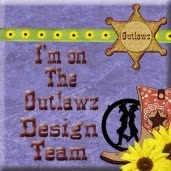 My DT entry for Outlawz Paper Ala Mode. The theme this week is Winter and use metal. The image is Miss Santa Girl from Art by Miran. I got several new dies I had to use:-) The large red one is Spellbinders Exquisite labels eleven. Snowflakes, one is Cheery Lynn the other is Ice crystals 3 from Joy. The frilly white one is Spellbinders Shapeabilities Die D-Lites-Fancy Label Tags 4. The candy paper is cut from Spellbindes labels 1 and cut in half. Ribbon from my stash. 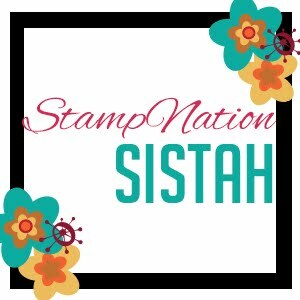 The sentiment is from an Anna Griffin card set I got last year from HSN. I added pearls under her feet to anchor the image. Christmas Snowman by Squigglefly for the Outlawz DT project. Background is done with "Bisters", colored with Copics, added FlowerSoft for snow, die cut snowflake covered with glitter. 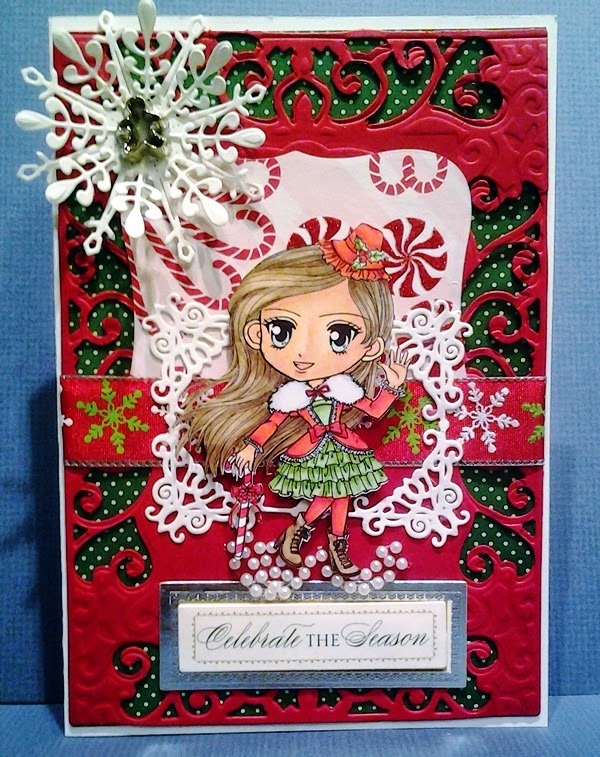 My DT entry for Outlawz Challenge Paper Ala Mode, theme is Cute Christmas. 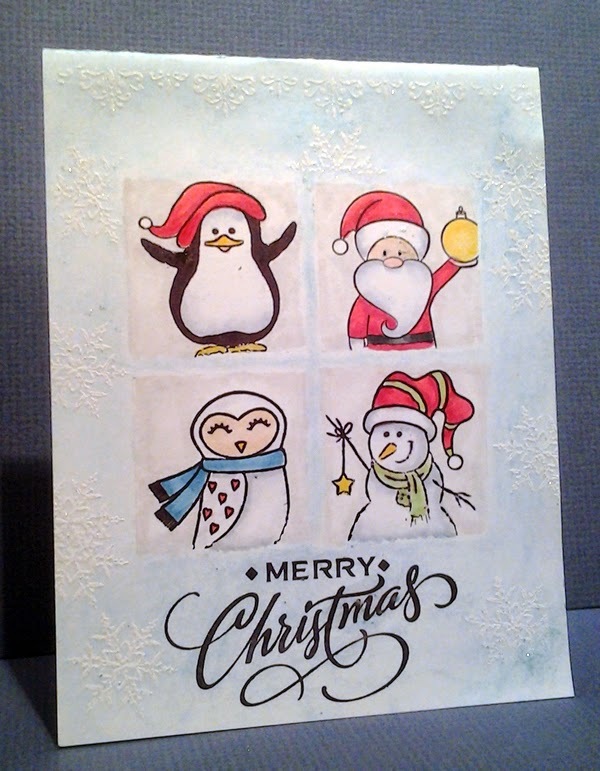 The snowflake border along the top and snowflakes, santa and sentiment all from Seasons Greetings (last years Holiday kit). I used Pure Luxury heavy so their was no marker bleed through. 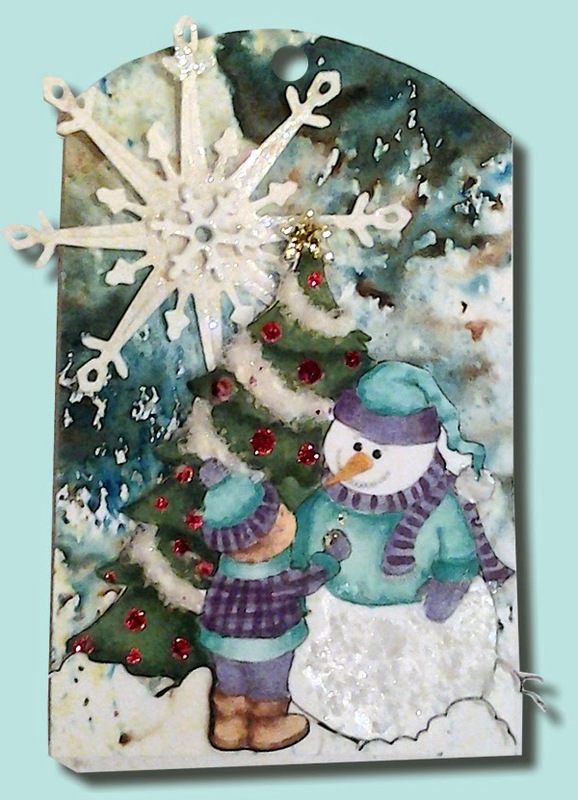 I used Pan Pastel blue over the embossed snowflakes.